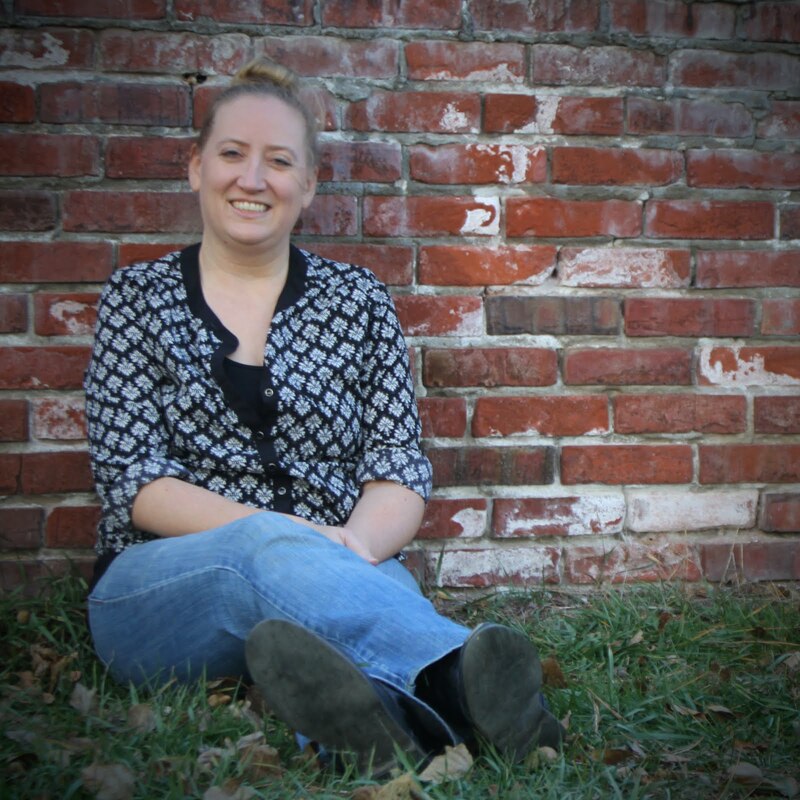 Arbordale Publishing, formerly known as Sylvan Dell Publishing publishes books twice a year ... once in the spring and once in the fall. Last Fall, seven titles were released and the company graciously provided me with a copy of each of the books. For those of you not familiar with Arbordale's books, let me tell you a couple of things that I love about them: (1) They consistently provide children with great stories with an educational slant, each with a focus on math or science. (2) Every book is accompanied by additional educational activities, both at the end of the book and via their website, so parents can go beyond the story. The Fall 2013 releases are no exception. Let me share them with you. Bell explores the process of finding the perfect pet, starting with the Animalia kingdom and working downward through the phyla. It's a fun read-aloud and a great way to kick off the discussion of categorization and in particular, taxonomy. And, the end may even bring the reader a little surprise! Polly 'Possum is on a mission to find a home, but she has limited time. 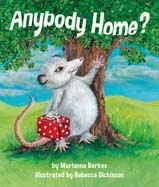 She asks for help from many animals, including a squirrel, bat, and a robin, among others, before finding the perfect home. It's a story that leaves you with a sweet "ahhhhh" moment, but the map of her travels at the end of the book will keep the story fun going and going. Anybody Home? wins my daughter's favorite award! In Dino Tracks, we get to learn about what fossilized tracks can teach us about these extinct beasts. Examples include the size of a dinosaur, if they traveled in flocks, how many legs they walked on, and more. 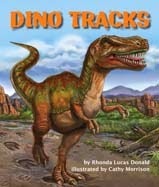 It's a fun and informative read, especially for dinosaur fans, but be sure to take your time - parts of the rhyming lines can make you tongue-tied! Curtis, author of Animal Helpers: Wildlife Rehabilitators, brings us another story in her Animal Helpers series. In Zoos, we get an inside look into being a zookeeper - building necessities for the animals, feeding the baby animals, and caring for the animals in general. My favorite part is the up close and personal photographs of the animals. It's the perfect combination to keeping this adult and her children mesmerized about zookeepers for very long periods of time. 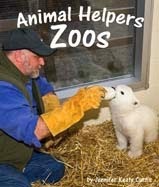 Animal Helpers: Zoos wins my son's favorite award! 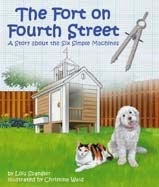 In Spangler's story, we learn about six simple machines that are used to build a fort in the backyard. This is a story that I could read multiple times and still learn from. It's not a common theme in books, but it is one that is perfect for all your little builders out there. A Butterfly Called Hope follows the life of a butterfly, from a small egg to a caterpillar and eventually, a beautiful butterfly. 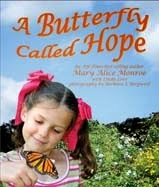 This story reminds me of our visits to a local butterfly house. Accompanied by photographs, we get to experience a little bit of a favorite destination in the comfort of our own home. 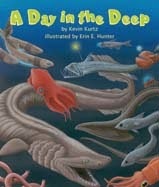 Kurtz takes us on a tour of the ocean, from surface to the deep, deep bottom. The facts shared in this book are fascinating and the illustrations by Erin E. Hunter are gorgeous. The sea animals glow off each page, with the contrasting black background, just like in the depths of the ocean. A Day in the Deep wins my favorite award! 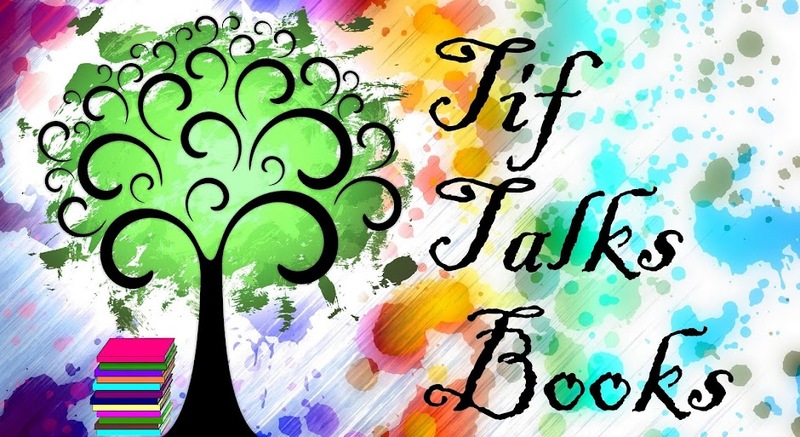 I have shared with you a little sneak peek into the Fall 2013 releases from Arbordale Publishing, but you really need to check them out to discover their fun and lessons yourself. 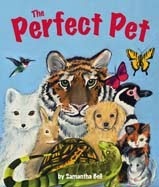 Each one offers a wonderful story filled with little educational tidbits for your kids (and yourself!) to pick up along the way. Thank you to Arbordale Publishing for review copies of each of these books. Which book(s) from this list do you feel inclined to pick up to explore? Have you experienced any of these for yourself yet? ooh, some great looking books here. The little girl would enjoy a lot of these. Mari Reads ... They really are great books, and my kids especially love the extra activities at the end!